DC Comics just revealed its new publishing team, including one member that could have a strong desire to tell more Watchmen stories. Harry Potter fans may be disappointed to learn that Scholastic boss Barbara Marcus is not the new publisher for DC Comics as was previously rumored. DC announced today that the people, not person, taking current publisher Paul Levitz's place when he steps down from the position will be a group of five men, one of which that is itching to develop more in the Watchmen universe. 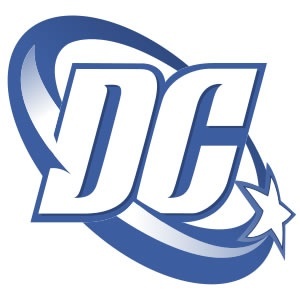 Jim Lee and Dan DiDio will serve as co-publishers of DC Comics, Geoff Johns will take on the role of Chief Creative Officer, and John Rood and Patrick Caldon will be Executive Partners. The publisher role is apparently going to be split between all five, rather than one single person taking the position. The simple fact that a group is being appointed is creating talk that big stuff is in store for DC. As for who these guys are, Jim Lee is one of the most well-known artists in the comic book industry. Dan DiDio was the executive editor of DC Comics and has now had his status elevated at the company. Geoff Johns is a writer that has touched countless comic book properties, most recently including DC's major ongoing Blackest Night storyline that saw a whole host of different colored ring-bearing Lanterns other than the usual green hitting the scene. John Rood is a self-described "suit" that it looks like will be handing more behind-the-scenes duties, as will Patrick Caldon. The big name that matters here in regards to Watchmen is Dan DiDio. Paul Levitz had previously put the kibosh on any new Watchmen projects, but with him stepping down DiDio reportedly has a desire to impress some DC higher-ups with more from the jolly crew of Rorschach, The Comedian, Nite-Owl, Dr. Manhattan, and the rest. One thing we know probably isn't happening is a movie sequel to Watchmen, which has pretty much already been ruled out for the current time. However, Dan DiDio is still is likely to put new Watchmen comics into production, so we could be hearing more about that sometime in the future.